The last post of the year and let me make it a good one! This post is after my own heart. 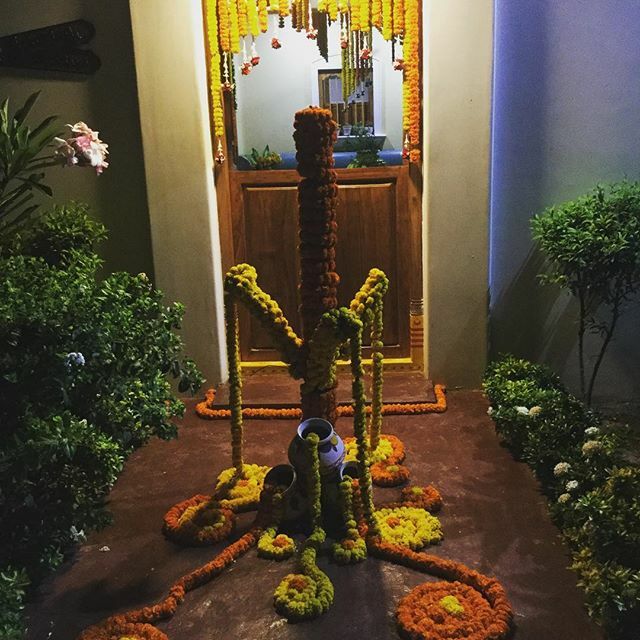 It is a home tour from Vijayawada and is the abode of Asha Kiran. To begin with, let me tell you, the home is built without any help from interior designers or architects. 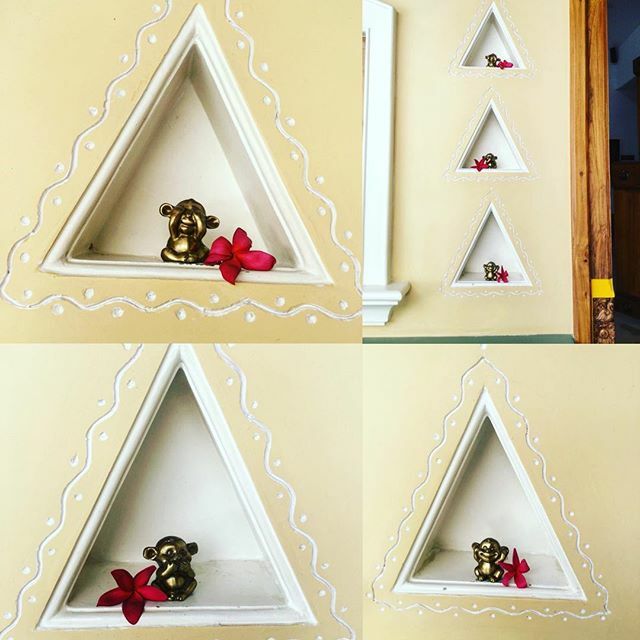 Asha had her home conceptualized in her mind in a certain manner and she went ahead with it and it has turned out perfect! 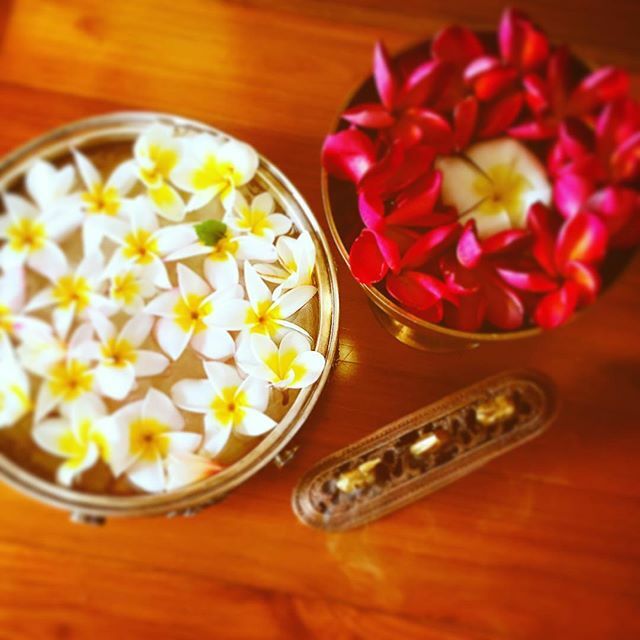 When it comes to decor, Asha is a traditionalist! Here she lives with her hubby, two daughters and a cute fur-ball! This is the entrance and notice how it stands out against the high-rise at the backdrop. 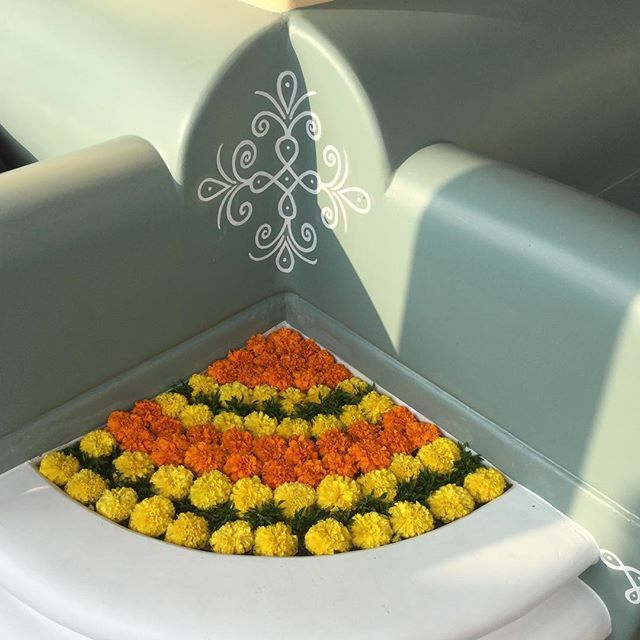 Look at the Tulsi' maadam' or the pedestal on which the Tulsi is placed! Indians have always considered Tulsi as divine and worshiped the plant due to its intense medicinal properties. And you can spot a niche on the yellow pedestal. This is with the intention of lighting a lamp there! 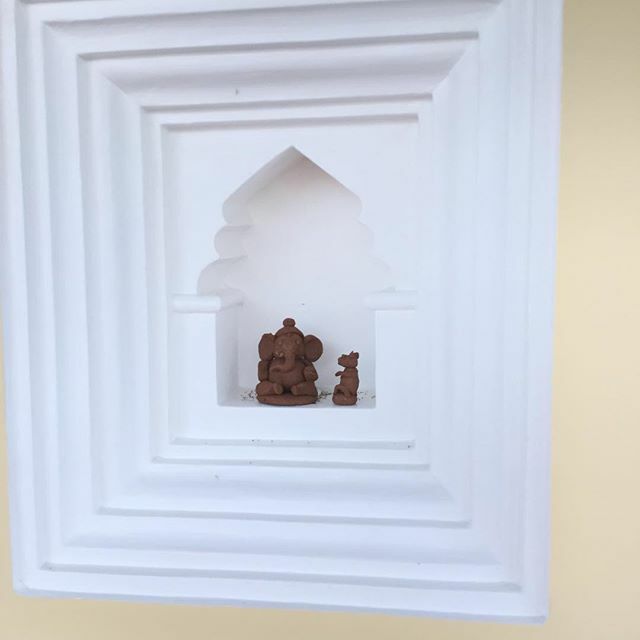 In olden times, they would build these niches in the wall near the entry door for lighting lamps.The lady of the house would light them during evenings and that used to lend such a warm and calming effect! This entryway opens a bag of memories for me. For,ages ago when modernism hadn't caught up with our villages, the houses used to be adorned similarly!The ornate carvings on the wooden door and the painted threshold are just signs of more beauty awaiting you inside! 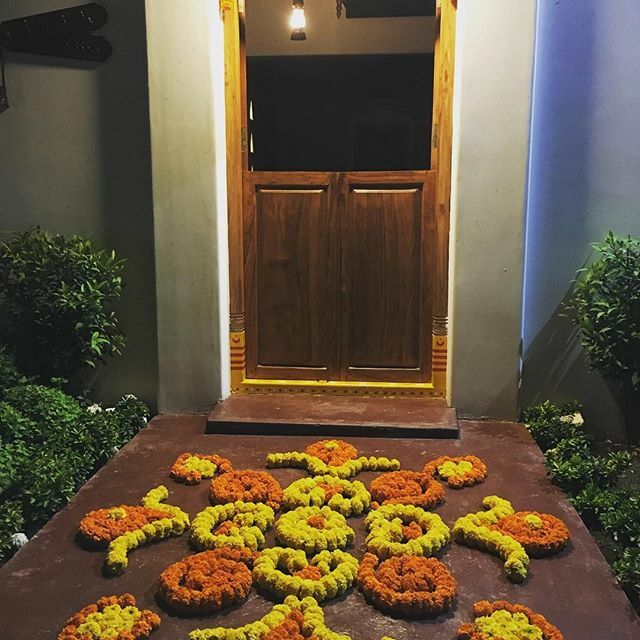 The threshold has painted motifs of elephants, kalash and lotuses ,all signifying auspiciousness and prosperity. Now, as we step inside, you can make out the interiors styled with wood and brass. 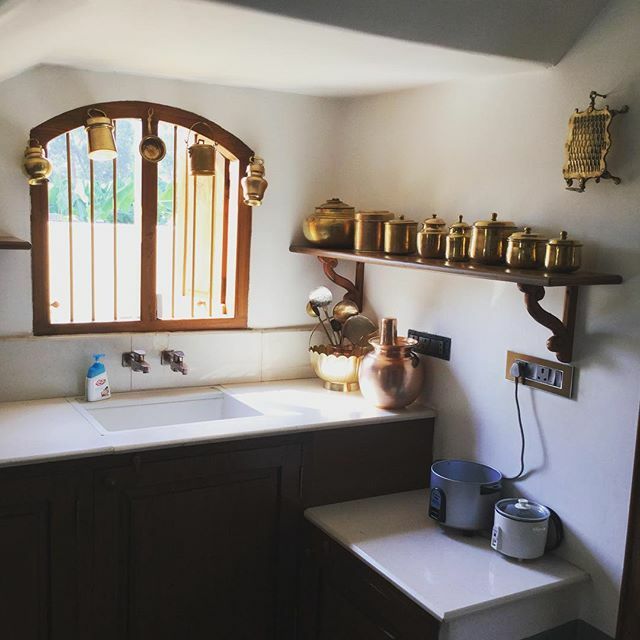 Asha's kitchen is a treasure trove of brass utensils.She says, she is very much fond of these sparkling beauties. 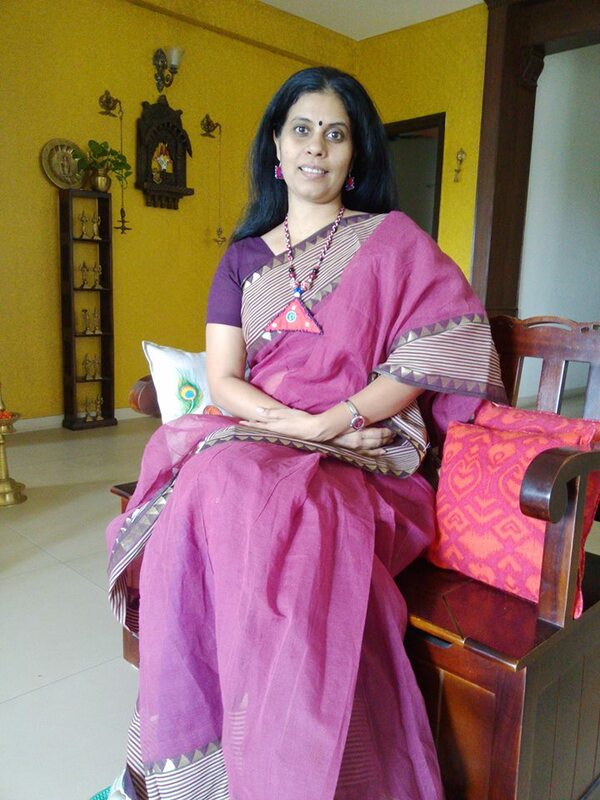 Her favourite places for buying these antiques are Indian Antique Quest, an online destination for authentic antiques, flea markets, Lepakshi exhibitions and the old markets of Vijayawada. I still have vivid memory of my granny's old home which had such doors that opened half way from top, served the purpose of knowing who knocked without really letting them inside! This is the traditional version of our modern day safety doors. Isn't it? The wooden bench like trunk that you see in the above pic serves well as a storage and a sit-out. Being a brass lover, all those utensils make my heart, skip a beat! This is her prayer room..
Asha tells me, its been 5 yrs since they constructed this home and to me it doesn't look more than a day old! 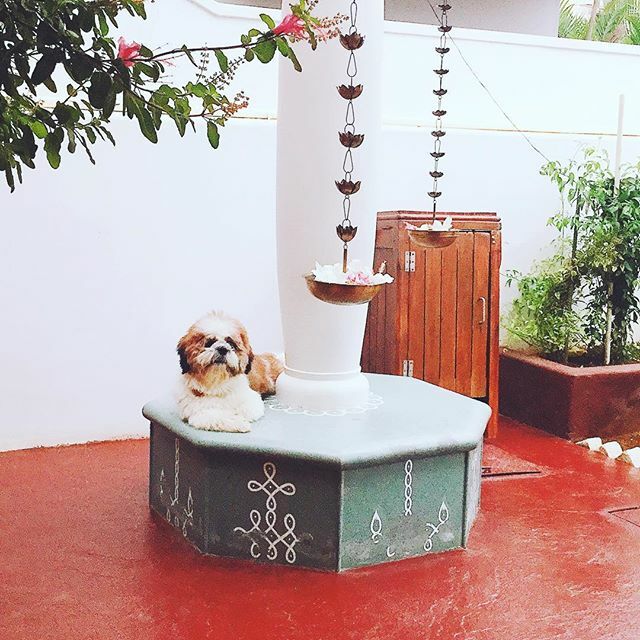 The lotus incense holder creates the right drama at the entrance and of course you cannot miss the sweet bundle of fur-balls who makes his appearance in more than one frame! 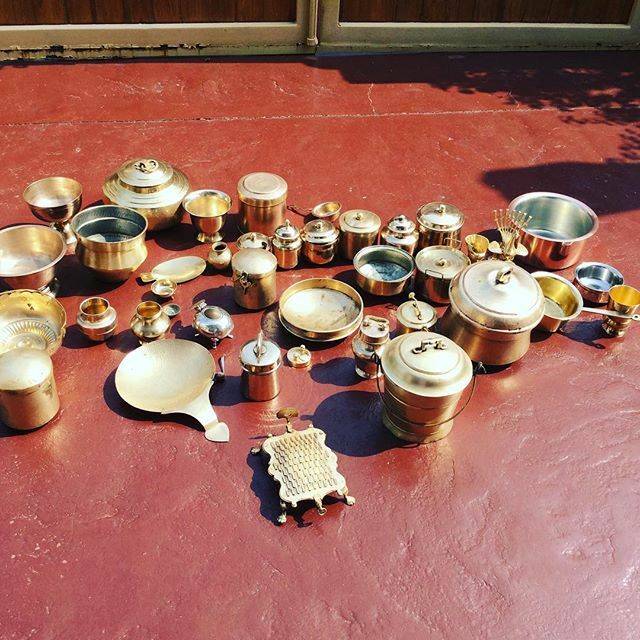 The Original beauty and glow of brass vintage items comes after cleaning with Pitambari powder and swiping it with a dry cloth.The most important step is to then keep them under sunlight.This step is a must to get the best glow. I wish this tip will be useful for all brass lovers. I hope you loved this home tour. I felt so happy presenting it to you folks. As we usher in Christmas and New year, I wish the best for all my readers.We shall meet again in 2018 with more styling tips and more importantly with posts that shall warm our hearts and bring happiness forever! Really a heart warming post with lovely visual treat and your awe-inspiring words describing each and every element with great detail. Truly a unique house rarely seen in today's time. I really like the Blog about how to make you more beautiful with these accessories .thanks for sharing with us great blog. 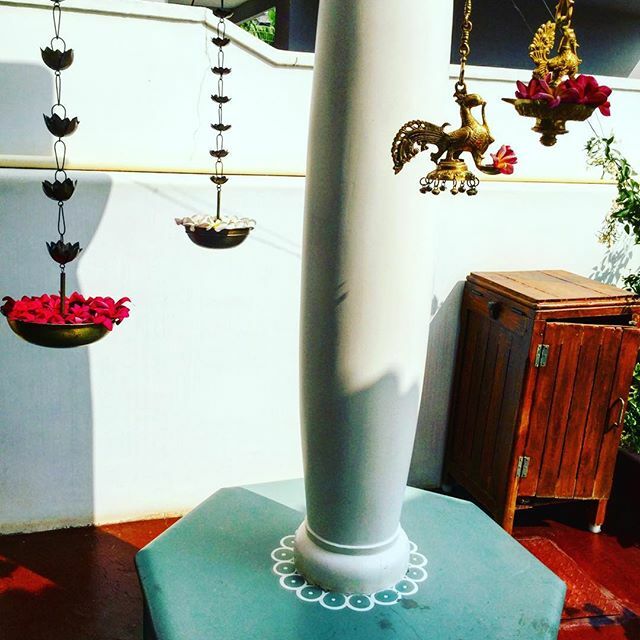 Check out our website for Gangesindia Home Decor Statues. Hai Sangitha, This is indeed a great work. To transform a house into a great place to live is truly a great art. I loved the ideas of decorating house with some antique pieces and flowers. 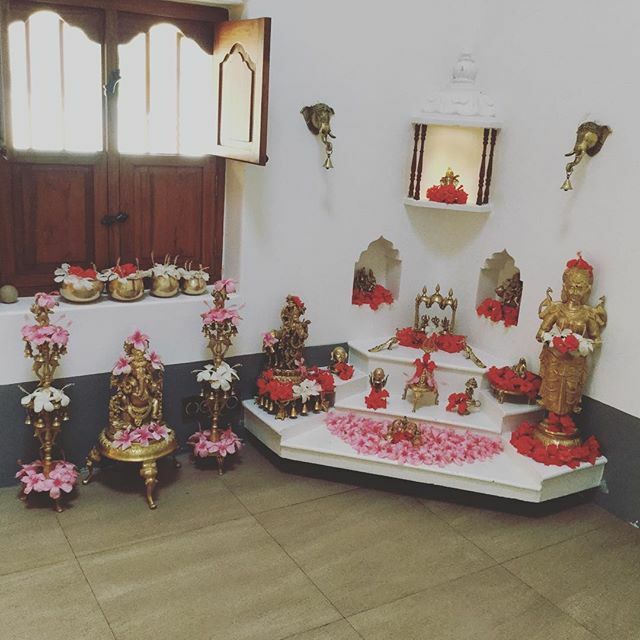 This gives the feeling of our ancestoral houses in kerala. Most of these houses are now a memory. We have some premium builders in Thrissur, who take up the initiative of building that traditional style house. Now-a-days the demand for such houses is increasing. What a beautiful home! love it.